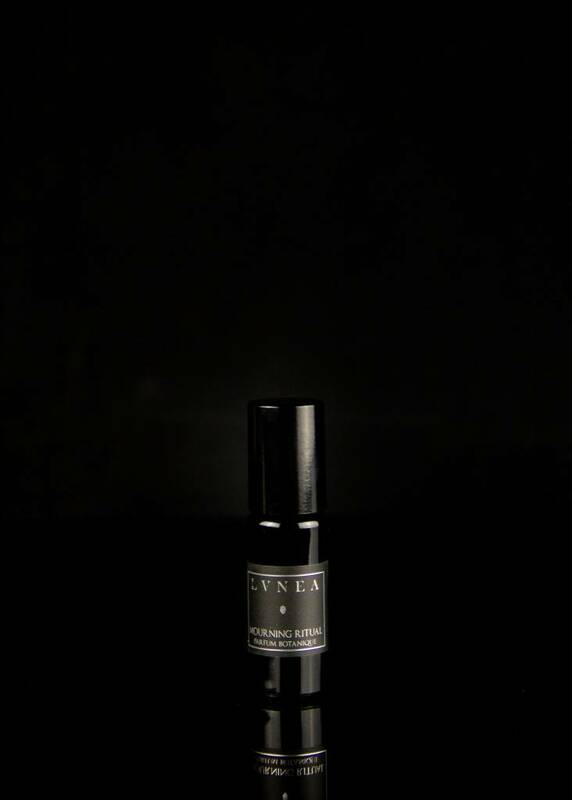 A small, roll-on perfume to tuck in your bag and take everywhere. Frost Flowers is dark florals, black currant, mint, and musk. 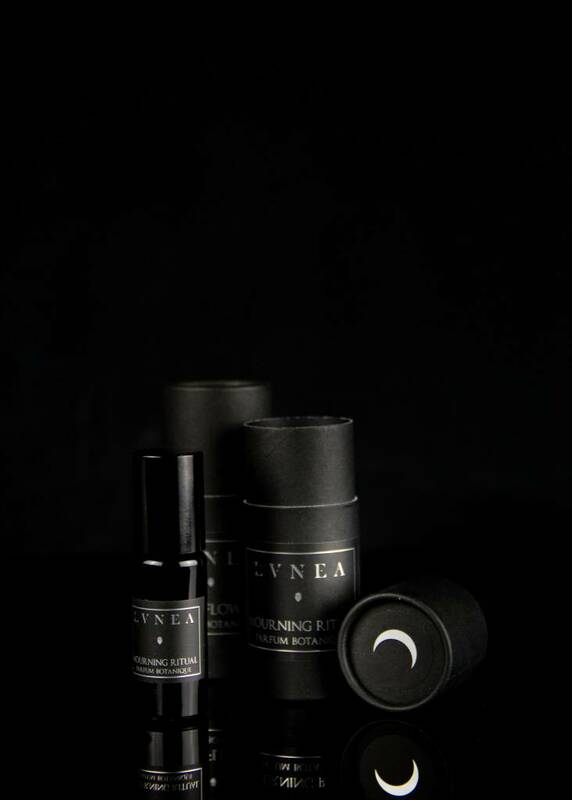 Mourning Ritual is black velvet, incense, wilted rose, and resins. These scents are for all bodies. Featured scent notes of tuberose petals, jasmine blossoms, frozen mint leaves, black currants, elemi resin, cypress, and ambrette musk seed. Icy and cold, delicate yet jagged, floral ice crystals slowly melt to reveal a heart of dark florals and a musky sweet base. 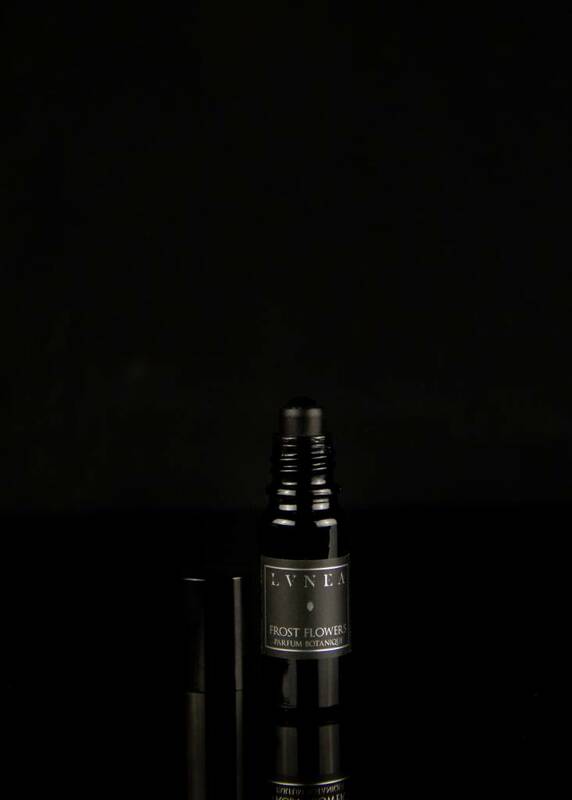 Featured scent notes of frankincense oman, Russian roses, opoponax resin absolute, cedarwood extract. Aspects of balsamic, resinous, warm, slightly spicy, powdery. 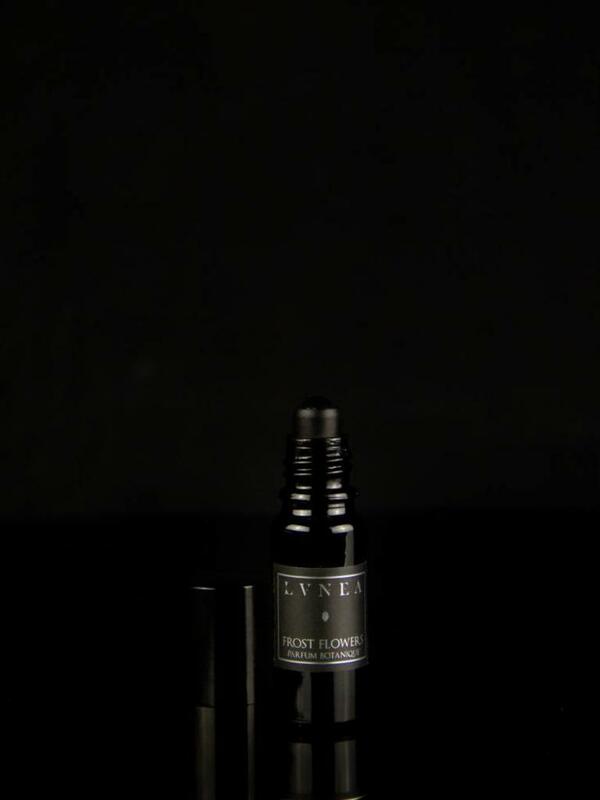 Comes in a beautiful black glass bottle with a crystal roller ball inside a matte black tube. Natural, botanical, and handmade in Canada.